She thought she’d escaped her past, but when her past returns with a vengeance, Treva’s worst fears come to fruition. Eric is back and bent on destroying what’s left of Treva. 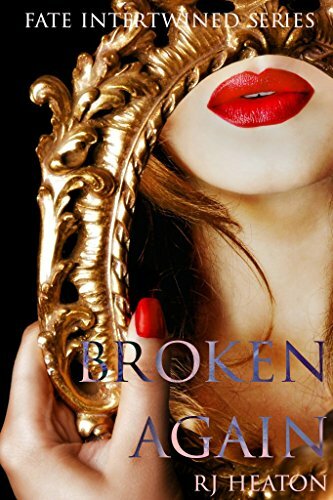 As he torments his captive, she fights to win her freedom and reclaim the life and the love she knows she deserves. But escaping won’t be an easy feat to accomplish for Treva; Eric knows just what to say or do to catapult her back to the day their story first began long ago. Ronin knows what he wants and knows how to get it, but Treva’s disappearance has thrown him for a loop. Despite his fears for her safety, Ronin is determined to go to the ends of the Earth to secure her safety, but finding Treva will prove to be more difficult than he thought. Can Treva escape her kidnapper and reclaim all that was so violently taken away from her? Will she be open to welcoming love back into her life after all she’s endured?